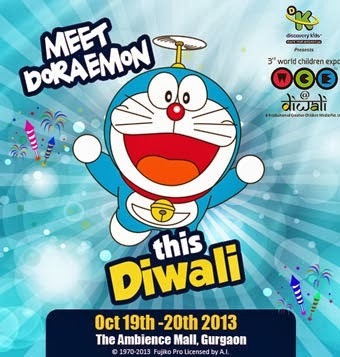 Discovery Kids partners with World Children Expo (WCE) to bring families together to celebrate this Diwali, at a two-day kids’ carnival taking place in Gurgaon. Oct 19 and 20, from 10:00 am to 7:00 pm. After the overwhelming success of the 1st and 2nd World Children Expo, Creative Children Media brings an event which will redefine the way kids and families have fun and learn. WCE@Diwali is the first ever and largest event of its kind for kids during the Diwali season with insane fun for the whole family. A lot of fun & learning activities have been planned at the expo for kids. Adding excitement to the carnival, the new season of the animated TV series Transformers Prime Beast Hunters, exclusive to Discovery Kids, will be launched at the event. The kids will get a special opportunity to be seen with the famous characters of the series. True to the smart fun positioning of Discovery Kids, the carnival will include a variety of exciting activities such as games, a painting corner, quizzes, and workshops for kids and engagement with parents to win plenty of prizes. There will also be contests, special character appearances and a range of products on display and for sale all under one roof. 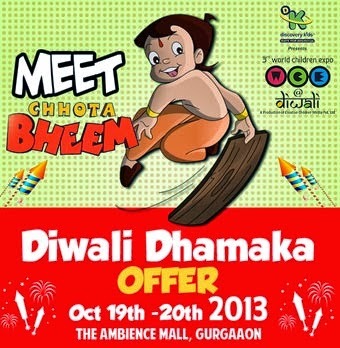 Kids’ favourite animated characters will come to life as they will get to meet Transformers, Doraemon and the Legendary Chhota Bheem. Kids are going to have a gala time at the WCE@Diwali as there are some creative and interesting activities lined up for them where they stand amazing chances to win goodies. Some of the activities include Make Beautiful Greeting cards to gift your loved ones at Diwali festival and Gift wrap the diwali goodies; Treasure Hunt ; Diwali Quiz Show and an Amazing Science Show. Missioned to provide integrated fun to kids’; WCE 2013 will feature prominent brands from entertainment, education, technology, clothing & apparel, food & beverages, healthcare, toys & FMCGs industry. This is where Learning, Entertainment and Commerce come together. It is a one stop destination for Parents who are looking at finding the latest for their kids and celebrate a fun filled weekend with their families.